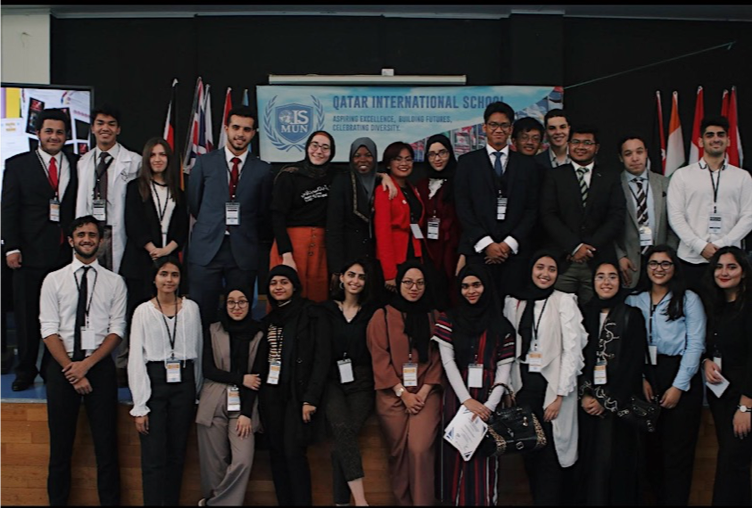 This year, at BISCMUN (British International School of Cairo), we wanted to try something different, something that wouldn’t only benefit the delegates’ experience, but our chairs and staff. 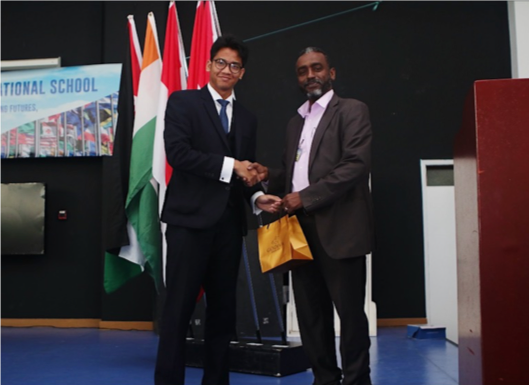 Normally, at BISCMUN, we’d have a pressing world theme, as is normal with MUN, and we’d argue over what’s right but eventually, the majority wins not by having the best points, but simply by being the majority. So in choosing the issue for our conference, we wanted to pick something that is split, and that doesn’t depend solely on your country’s stance. This is where we introduced ‘Ethics in the Modern World’. This issue, not a clear material issue such as, ‘water’ or ‘equality’ for example, but important all the same. Ethics is something that is under-discussed in our world, in my personal opinion. This is because we all assume that we know what is right for one another and an organization such as the UN, one that decides he fate of so many, needs to know the best interpretation of ‘right’ possible. 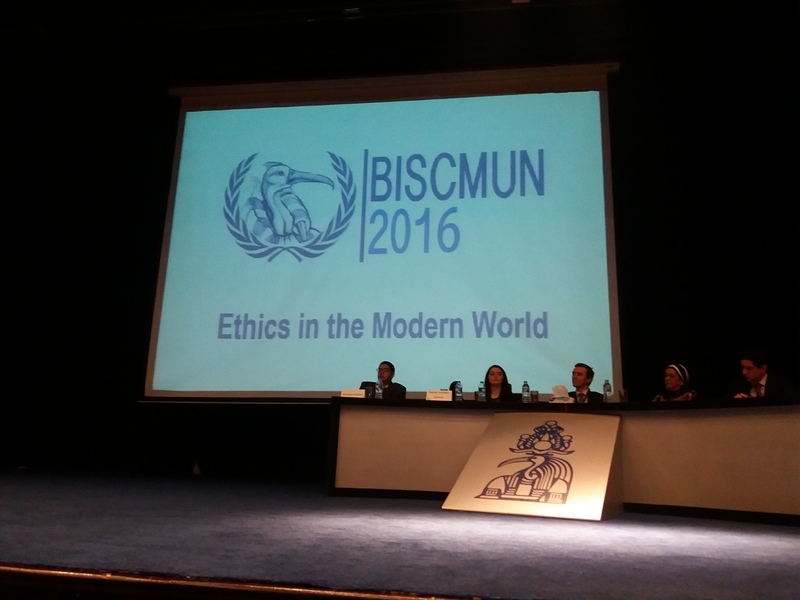 One country’s ethical opinion is not the same as another’s, obviously but it’s a major roadblock in debate today, inside and outside of MUN or diplomacy as a whole. Whenever we argue with someone, we are challenging presupposed positions, which is good in itself, but the point here is that we wouldn’t be able to get anywhere if the very criteria that our opposition is using to judge what is right, is not the same as ours. Basically, we need a moral baseline for the whole world, a set of principles that govern how we govern. 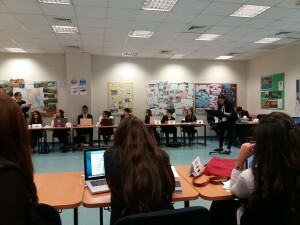 Obviously, as times change, these would change as well, but what we tried to do at BISCMUN is stop arguing in the numbers, because diplomacy is not a popularity contest, it’s an argumentative process in which everyone learns, but to learn the same material, and at the same pace, we need to be on the same page, read the same language; that page being diplomacy and that language being debate. This theme was carried on successfully and smoothly by the secretariat as well as by the speaker: Mrs. Neveen El-Tahri, as successful businesswoman who was voted among the top 50 most influential women in the Arab World, and Mr. David Clay, the political advisor to the British Ambassador, who gave eloquent and thought provoking speeches. With all of this in mind, we had around 175 delegates, 4 GA committees: Human Rights, GA1 – Disarmament, GA3 – Financial and Economical and GA4 – Political, debating issues such as policies of capital punishment in retentionist countries or biological warfare, issues that are very easily controversial among countries old and new, developed and developing, east and west. At the end, we entertained the four best resolutions and had a crisis committee where Yemen’s Houthis attacked Sana’a, found and used experimentally created long range biological weapons, bombing the Washington DC in the US and Israel at the same time. We had this being presented on the stage to our delegates through newsflashes, to make the debate more dynamic. This issue is an amalgamation of a few of the GA’s issues as well as true to history with reports calling on Yemen’s perceived use of Bio-weapons as well as the Houthis’ deep hatred of the US and Israel. Philip Hammond, the Secretary of State for British foreign and commonwealth affairs, and Mr. Andrew Parker, director-general of MI5. 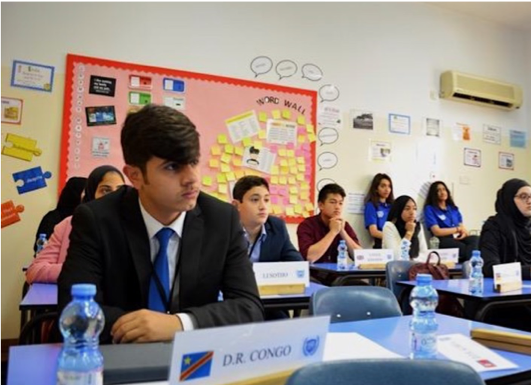 The crises gave the delegates an opportunity to think on their feet, something essential for the development of critical thinking, which is a keystone of debate in diplomacy. In the ICJ, we debated the UK vs. The Martial Islands, which is an issue involving nuclear weapons and their reduction. Our advocates, as well as our attentive justices participated avidly in the debate, perhaps one of the most interesting I’ve seen. The verdict labeled the Martial Islands victors over the UK and justice was served. In conclusion, thankfully, we achieved our goals. Thoughts were provoked, ideas challenged, issues tackled, and resolutions proposed. 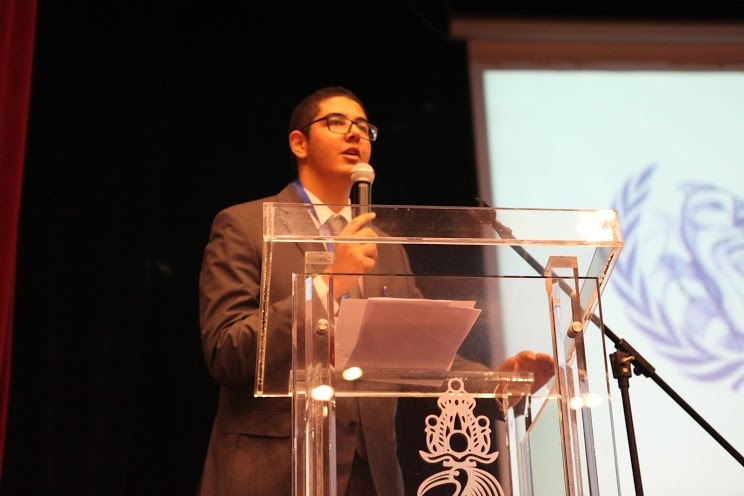 Personally, I ended off my MUN high school career on a high note, and I’m sure, as did everyone. The opportunity I was given to do this was immense, but it wasn’t of my doing, because I couldn’t have done any of this alone. Therefore, I would like to thank everyone who contributed, the Secretariat, the admins, the student officers and of course, the directors. I would also like to personally thank Ms. Martin, who came all the way to Egypt with intents of improving our conference, which is vital to the success of anything. Without any of this tremendous help, this conference wouldn’t have been such a success.